Twill fabric is an ideal choice for many sewing projects. Twill can be medium or heavyweight fabric; it's sturdy enough for heavy use, yet soft enough for clothing. Our poly/cotton twill fabric has the advantage of minimal shrinkage, just 2-4%! Big Duck Customers make so many things from our twill material, it's impossible to list them all. However, here are a few! Clothing and apparel like aprons, dresses, jackets, pants, scrubs, skirts, suits, uniforms, home décor items such as bedding, curtains, duvet covers, pillows, pillow covers, removable fabric covers, seat cushion covers, slipcovers, tablecloths, upholstery and window treatments; beach bags and reusable shopping bags. Whew! Whether you're looking to buy twill by the yard or in bulk rolls, you'll save with our warehouse-direct wholesale prices. 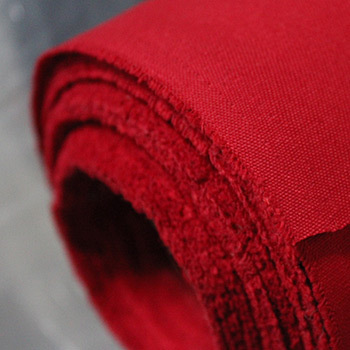 Related Blog Post: What's the difference between twill fabric and canvas fabric?